It’s been a rough past few months. On May 13th, my house caught fire and I lost my dog, as well as all my filmmaking gear. It’s been quite a process trying to rebuild my life, but God is good and I’m doing better. One thing as of late that has been especially frustrating though is Adobe. I had switched to the Adobe suite for all my post production at version CS6 after almost ten years in Sony Vegas. At the time, I thought Adobe was a dream come true. A stable editor (Premiere) that talked to my effects software (After Effects), and had a link to audio (Audition). Lately however, I had found myself getting frustrated with After Effects. A lot of my shots required numerous precomps and it was difficult to come back to a comp later and figure out what I had done to the shot if I needed to change something. Fortunately, there was a solution: Blackmagic Design Fusion 7. Blackmagic bought up the original creators of Fusion and then proceeded to release it for free. I’ve been teaching myself how to use it and I have to say that I like it more than After Effects! It’s very stable, and the node based compositing is heaps better than the layer based method After Effects uses. 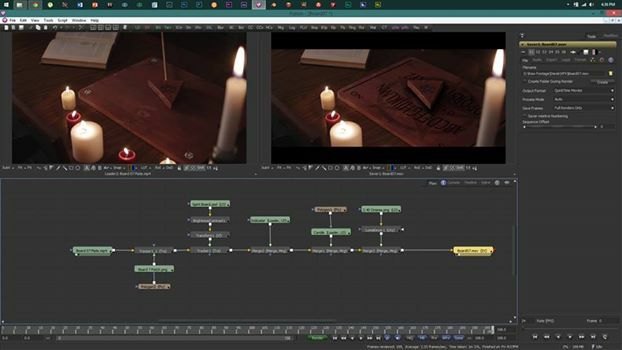 Up until recently, Premiere has been a wonderful editor for me. It was solid, it worked, and it was clean. With the release of CC 2015 however, all that changed. Both at work and on my personal computer, Premiere has been nothing but problems. Buggy, crashing, just using it feels like I’ll break it. So for the past week I’ve been on the hunt for a new editor. I tried going back to Vegas but the interface just seems so dated to me. I tried Resolve, which has added some editing abilities lately, but it’s a resource hog and doesn’t play footage smoothly. I even tried HitFilm and had the same issue-stuttery playback. Finally, I had an epiphany: I make movies. I have a Hollywood level compositor (Fusion), I have a Hollywood level finishing suite (Resolve), I need a Hollywood level editor. In the world of feature film editing, there really is only one name in town: Avid. I skeptically signed up and downloaded the latest release. I had heard that Avid was difficult to get used to. That it doesn’t like certain video formats. At a download size of 2 GB, I was worried it wouldn’t even play my footage smoothly. Now- all that’s changed. I fired it up for the first time, and using a few quickstart videos on Avid’s website, I was up and running. It’s stable, it’s smooth, I love it! So far, I’ve only just played with about ten minutes of footage and haven’t had any issues. I think the best way to test out my new suite of applications is to apply them to a short film. Fortunately, I shot one back in November that I haven’t finished yet. The edit was completed in Premiere, but lately I haven’t finished the effects due to my issues with AE. I think the best plan is to just recut the film in Avid and then do all the VFX in Fuision. 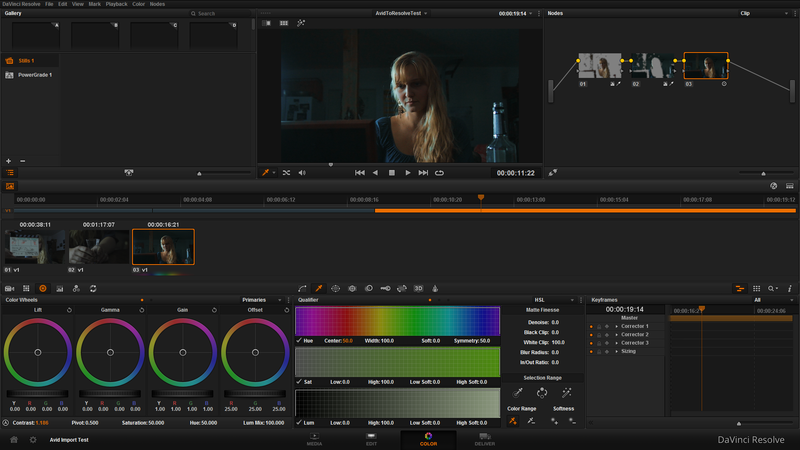 When I’m done, I’ll export my cut to Resolve for grading and probably stick with Audition for the audio mix-for now. This should give me a good idea of my workflow and if I need to refine anything for the movie this summer. This route will require some learning on my part, but I really feel it’s for the best. I want the least amount of headache possible on this film and using these “industry standards” should help me with that. The best part is that both Fusion and Resolve are free! The only one I have to pay for is Avid, but they have a great subscription plan that’s very affordable. As far as shooting goes, I’m still hoping and praying for the funds to shoot this. We at least need to be able to pay for actors, the rest I can do out of pocket if need be, but paying actors is very important so that we can shoot on my timetable and not have to drag it out for six months like the last one. Keep us in prayers!